End-loading boxes designed for easier shipping of extra-long or irregularly shaped items. 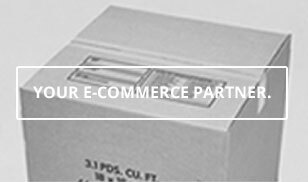 At the Packaging Company, we understand that every shipping application is unique. 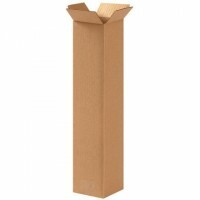 We know that “one size fits all” isn’t a good idea for cardboard boxes, especially when it comes to shipping valuable, fragile, or unique products. Not only do you not want your product bouncing around inside a box that doesn’t fit it properly (nor do you want to try to cram something into a package that isn’t suitable), you also don’t want to pay more in shipping costs than you need to. 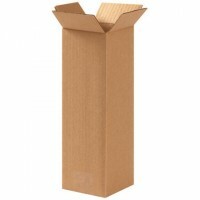 That’s why the right size box matters and why we stock an extensive variety of boxes in many types and sizes including tall boxes. 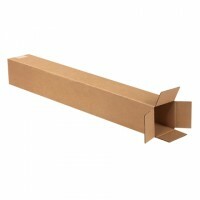 These corrugated boxes are specifically designed to make it easier to ship extra-long or irregularly-shaped items. As you know, the size of the box you’re shipping in matters. 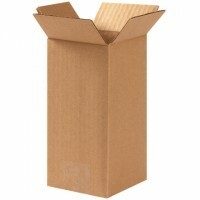 If a box is too large, you either risk damage from the product moving inside or you need to spend a bunch of time and money on filler. Plus, you wind up paying more in shipping than you should have to. 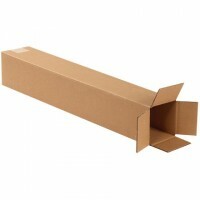 However, if the box is too small, your product could easily bump against the side and get damaged in the process. That’s where tall boxes come in. 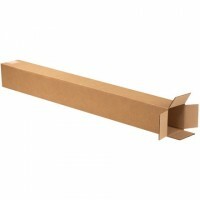 At the Packaging Company, we know that shipping materials matter. 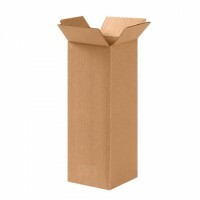 Not only is it critical to get your product to your customer in the same condition you shipped it in, but your organization’s reputation depends on having high-quality corrugated boxes and other packaging materials. You might not think that’s true, but consider the message you’re sending to your customer if you use poor-quality or inappropriate shipping products? You’re making your organization look like it’s sloppy, unprepared, or like you don’t care. Don’t give off the wrong impression. 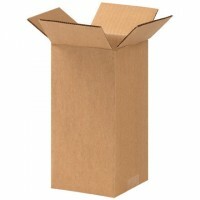 Use cardboard boxes and shipping supplies from the Packaging Company. Browse our products below or contact us to discuss any questions you may have.